Does the Sun win elections? Can the nation’s biggest-selling newspaper influence the outcome of general elections? It was a claim first made on the front page of the Sun in 1992, when the paper bragged that it had won the general election for John Major’s Conservatives. But the suspicion remains that the press in general, and the Sun in particular, do wield considerable power to influence the electorate. Today’s UK edition of the Sun has come out in favour of the Conservatives, while the red top’s Scottish edition backs Nicola Sturgeon’s SNP, who some polls suggest are on course to all but wipe Labour out north of the border. This has led to speculation that Mr Murdoch is pulling the strings to try to engineer an overall Conservative victory. Does the Sun seek to influence its readers’ political views or simply echo them? The Sun was a Labour paper until 1979, when it came out for Margaret Thatcher, telling readers “Vote Tory This Time”. The Conservatives won, but the Sun didn’t try to take the credit, probably with good reason. Despite the unambiguous message to voters, a Mori poll the weekend after the election asked Sun readers which party the paper supported. A third said the Conservatives, a third didn’t know and a third thought it still supported Labour. 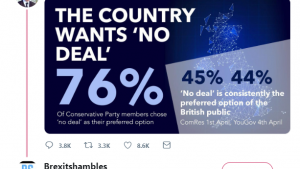 Since then, whichever party the tabloid has backed at a general election has gone on to win, with the exception of 2010, when readers were urged to vote Conservative but did not give David Cameron a majority. Could that just be a case of the Sun backing the winning horse? In most cases, the party the Sun supported was well ahead in the polls at the time. The 1992 election is an exception. Here Labour were very slightly ahead on the eve of the election – when the Sun’s sub-editors would have been putting the finishing touches to their Kinnock-bashing front page. But as the New Statesman’s election website May2015 points out, Labour had been losing ground in the last 100 days before the election and the momentum in the polls was with the Tories. So this could have been a clever punt on the nation’s mood by the Sun rather than evidence of its editors swaying voters’ opinions. 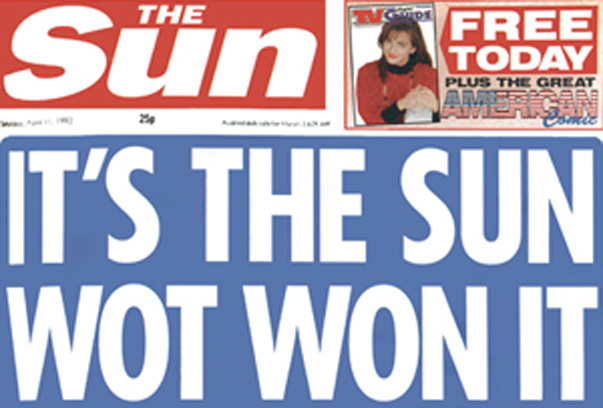 In 1997 the Sun dramatically changed allegiance and backed New Labour. A landslide victory for Tony Blair ensued. Politics experts think it’s the change of sides that holds the key to finding out what kind of power newspapers have over their readers. After all, it’s no surprise that Sun readers voted Conservative in 1992. Perhaps they were just natural Tory voters who bought the paper because it had echoed their views for years. But if readers change their allegiance en masse when the Sun switched sides, that would be good evidence of the paper’s power to persuade. They didn’t, according to Professor John Curtice. He found that “the pattern of vote switching during the campaign amongst readers of The Sun or any other ex-Tory newspaper proved to be much like that of those who did not read a newspaper at all”. He notes that support for Labour actually fell in the year before the 1997 election, despite support from the Sun and other papers. Labour had the backing of 57 per cent of the electorate in the middle of 1996 but only got 43 per cent of the vote the following year. In contrast, the only party no major newspaper backed – the Liberal Democrats – rose in popularity. In the 2010 election the Sun’s decision to back the Tories appears to have had a bigger effect on its readers. Among all voters, there was a swing from Labour to Conservative of about 5 per cent between 2005 and 2010. But among Sun readers the swing was a massive 13.5 per cent. This sounds like impressive evidence of the sway the Sun holds over its readers. But Sir Robert Worcester from the LSE notes that most of the swing – 12.5 per centage points – had already happened before the Sun declared its support for David Cameron. That makes it look very much like the editors were being led by the readers, not the other way round. The basic point is that the party that wins the most votes has always had the most press support in terms of circulation in recent years. But the researchers point out that the years 1997 to 2005 are probably a historical anomaly. Since 1918, the Conservatives have generally had more press support, but that has clearly not always delivered Conservative majorities. They also note that the revival of the Tory press after 2005 “is somewhat diminished by the overall decline in newspaper readership over the last two decades”. We’ll probably never be able to say decisively how much newspapers influence their readers. Often, readers themselves say they don’t know. In-depth analysis of the Sun’s influence on the 1992 election is lacking, although the fact that Labour were slightly ahead in the polls when the newspaper launched its famous attack on Neil Kinnock was unusually brave. 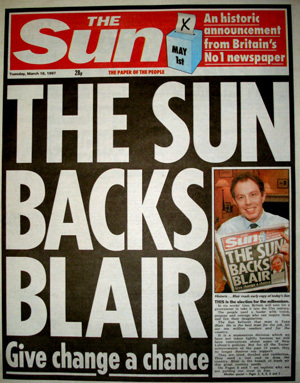 The 1997 election has been studied extensively and analysis suggests the Sun’s switch of support did not decisively swing the vote for Tony Blair. It’s interesting to note that Sun readers did swing back to the Conservatives in very large numbers in 2010, though it’s difficult to know what to make of this. The fact that most of the change in support happened before the paper came out for Cameron suggests that newspapers may follow the opinions of their readers rather than trying to dictate them. Maybe, but then again but maybe not. That was amazingly pointless. But so is print journalism now. Fact Check on Polls specific and general. How many interviewed? What areas of Britain were they interviewed? What economic class were interviewees. What and who finances Mori corporation? What questions were asked? What statements did interviewees make that were out-with mori questions? Can a poll be fact or just a slanted indicator of snapshot and any given time of randomised sample? Is it possible for a pollstar company to shed political views of its directors so as not to influence outcome of poll? Perhaps this election will give the lie to suggestions that the press influence their readers.I would certainly like to think that the public were bright enough to see through a newspaper. I have a feeling change is in the air. The Sun hardly qualifies as a newspaper but I have the feeling that declaring one party the winner before the event can make certain that the other parties supporters turn out in force. 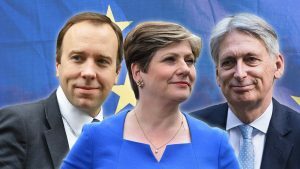 Likewise with UKIP and the Conservatives, there could well have been people who were going to vote UKIP but who had changed their minds fearing they were helping Labour, but now look, the Sun gives the impression the Tories have it in the bag and those same people feel they can go back to their original planes and vote UKIP. Just one example where prophecy can go into reverse. “…tasteless and wrong…” isn’t how I would describe the British equivalent of the Volkischer Beobachter and Der Sturmer. More like a disgusting rat bag of corrupt neocon journos who should be doing time in the slammer. Anybody who is influenced by Kavanagh and co deserves the kind of country we have become. Such an asinine question is only matched by media hysteria. Does the news media influence elections may have been more worthwhile? As all outlets including Ch 4 are guilty such a question probably won’t be asked. This article, with respect, misses the point entirely. 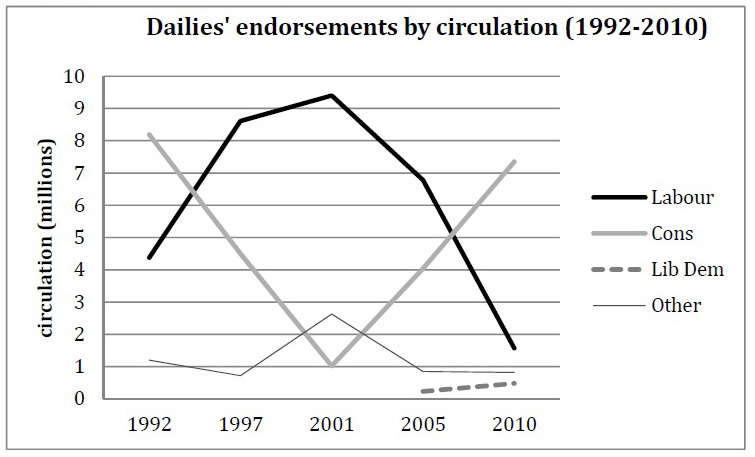 Whilst it may be true that one paper may not have significant power to politically influence at one point in time, The press in this country, and the mainstream Television stations are extremely influential in driving opinion formation over the long-term and they are either supportive of a Corporate Agenda and thus more likely to push a Tory agenda, or beholden to advertisers who have a Corporate and thus Tory agenda. As a result, gradually over the last thirty years coverage of Trades Unions has all but disappeared from the airwaves and on the rare occasions trade union stories hit the news the slant is invariably negative. Democratic protest has had very little coverage since the Occupy protests and most news is driven by PR press releases rather than actual journalism. 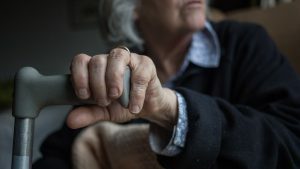 As a result media news is awash with misleading horror stories celebrity gossip and moral panic but contains very little accurate information about what is actually happening in the country. Free rags like the evening standard and metro are bulked out with a tsunami of puffs for politicians like Boris so pardon me if i suggest that the playing field is far from level in media terms. 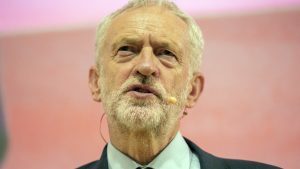 The Conservative campaign this election has been going on for many months and was not much more than a carefully orchestrated smear campaign against labours leader – highly effective and believed by many. It would be marvellous if C4 were to research the overall influence of the Media as a whole and let us all know the facts on this, which until now have been notable by their absence from all media outlets.